After three seasons' worth of snow fell over the Alps at the start of the year, the neige gods have decided to mimic classic student behaviour and procrastinate for a while. 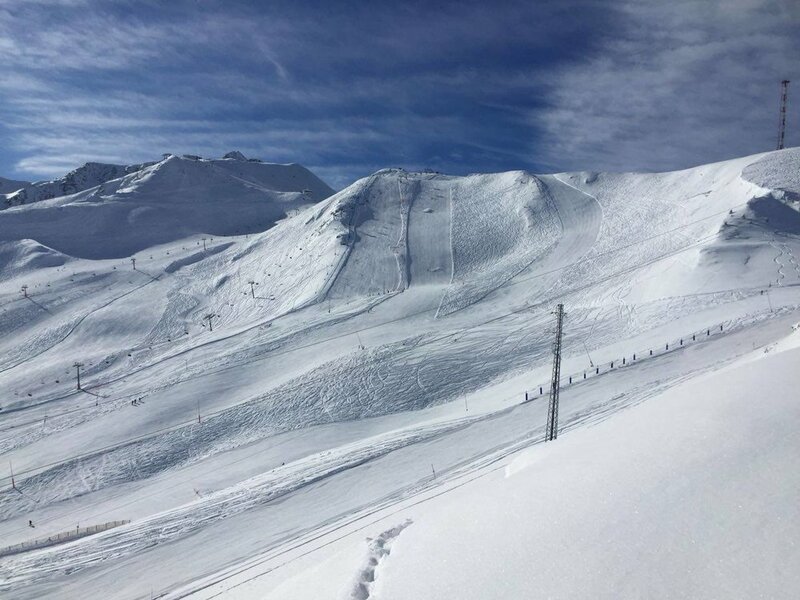 Sadly none of the your favourite resorts such as Tignes, Val Thorens, Les Arcs and the rest have seen more than a couple of centimetres in the past two weeks. Given this, now’s probably not the best time to start waxing those 120mm fatties, but instead prepare for a week of everyone’s second favourite type of skiing – on piste! And if cruisy blues gets a little repetitive, you can always get some Olympic inspiration and head to the park. How's your aerial tekkers? There's potential that a little dusting will take place over the Alps this weekend, but you're only looking at around 18cm of fresh. It’s going to be a chilly one, so probably time to break your student mindset and crank up the heating. All is not lost though, big things are happening in Andorra where 80cm of the good stuff has fallen in the past week. The forecast is for snow to keep falling until Monday but after that, prepare yourself for a bluebird day to brag about on Tuesday. Pas de la Casa looking fresh!